Urethane ceiling domes enhance interiors with rich texture and traditional appeal. Many of our urethane ceiling domes include classic decorative details, ranging from floral motifs to crisp moulding. 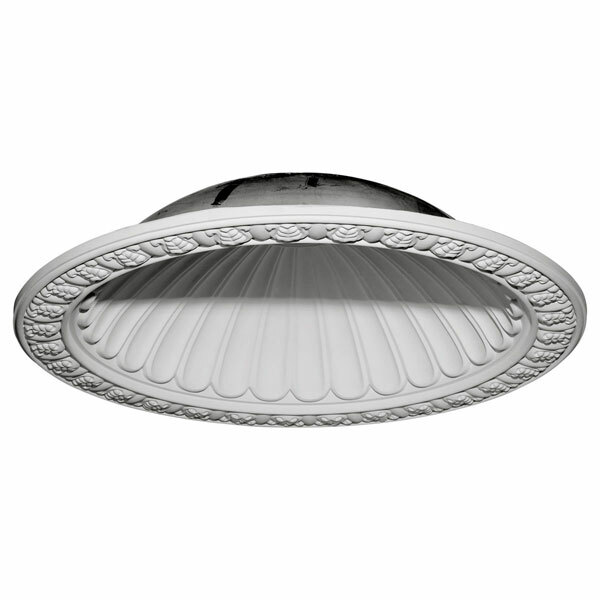 Whether you seek something subtle or ornate, we have a urethane ceiling dome for you. Each ceiling dome is factory primed and ready for your paint or faux finish. Each dome is manufactured out of a high density urethane foam, which is great for durability, but is also lighter than other materials to make installation a snap. Enhance your room with a beautiful ceiling dome focal piece.